Throwing their weight behind FleetFirst, the new offering from TrenTyre are, from left: Nigel Sowerby, retail and services director EMEA Goodyear; Nonkosi Dyantyi. Group Communications Manager; Manoel Almeida, finance director, Goodyear; Thandekile Dhladhla, Trustee of the TrenTyre Empowerment Trust; and Stephen Smith, TrenTyre operations director. 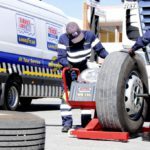 FleetFirst, a tyre management solution offered by Goodyear which is currently taking care of over 200 000 trucks in 28 European countries helping fleet operators to reduce both downtime and total cost of ownership, has arrived in the South African market for the first time through TrenTyre, one of the largest commercial tyre service providers in Southern Africa. FleetFirst provides quality tyres and service support as well as round-the-clock roadside assistance. This cradle-to-grave approach ensures optimised fuel economy and longer tyre life as well as reduced down-time through the efficient maintenance and roadside assistance that TrenTyre will be able to offer its customers in the commercial segment. Through FleetFirst, which comprises a one-stop service solution, TrenTyre will be able to offer customers a comprehensive range of fleet efficiency services that are built around customer needs and the versatility to choose between services. In addition to this tyre management solution, Trentyre says it gives fleet customers price security, peace of mind and reduced paperwork. TruckForce Mobile Vans – a premium truck tyre service provision, specialising in the complete lifecycle management of commercial truck tyres. Each location provides trained personnel and the equipment necessary to take care of any tyre-related situation. ServiceLine24h. 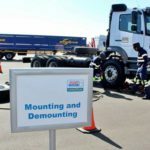 TrenTyre’s emergency roadside assistance service, operated in a 24/7 call center, uses a mapping system and leverages the company’s knowledge and understanding of truck tyres, ensuring downtimes are kept to a minimum. Fleet Online Solutions (FOS) – an internet-based fleet management system with the latest development in tyre maintenance enabling work to be carried out in locations across South Africa. Complete with an integrated management reporting suite and key performance indicator tracker, FleetOnlineSolutions is adaptable and can be tailored to the specific needs of customers. FleetWatch welcomes such services to our market. For one, it is a well-known fact that very few operators allow spare wheels to be carried on their trucks due to the high risk of theft. While this is understandable, it does put drivers at risk when they have tyre problems on the road. Getting them up and running in the shortest possible time – as FleetFirst proposes to do for its clients – is essential not for the operational efficiency of the fleet but also for the safety of the drivers. It’s a good move. 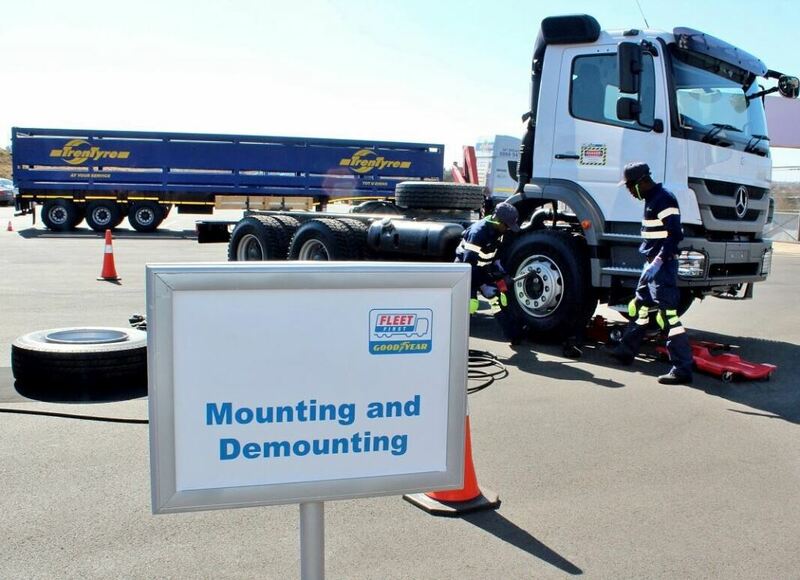 Service technicians demonstrate wheel balancing on the state-of-the- art balancing machine that comes with the TruckForce Mobile Van. Each van provides trained personnel and the equipment necessary to take care of any tyre-related situation. 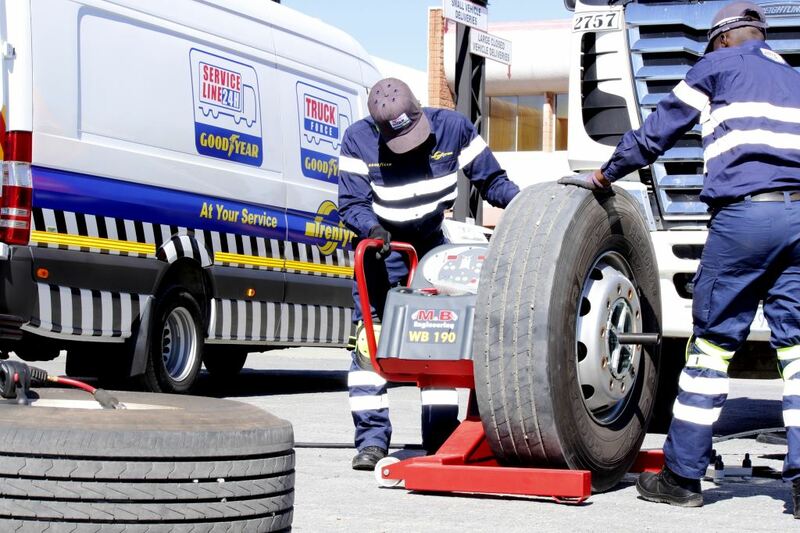 Technicians from TrenTyrea’s emergency roadside assistance service, ServiceLine24h which operates in a 24/7 call center, uses a mapping system and leverages the company’s knowledge and understanding of truck tyres, ensuring downtime is kept to a minimum. 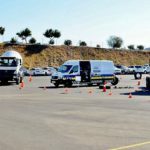 At the launch of the FirstFleet tyre solutions programme, TrenTyre demonstrated a number of the services it will be offering the industry in its new cradle-to-grave approach to its customers in the commercial vehicle sector. Why no action from SA on the UN Decade of Road Safety?